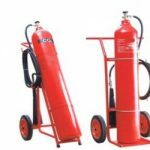 Abdullah Anti Fire Corporation provides the best quality CE certified seamless steel body high gloss polyester finish, safety valves for maximum safety, snow horn without freeze gun and with built in nozzle helps for fast fire suppression in a wide area. 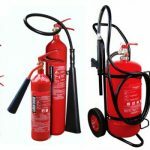 Supplied complete with wall hanging bracket, controllable discharge, which allows optimal use of the fire extinguisher. 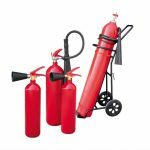 Easily rechargeable and easy to service and maintain. 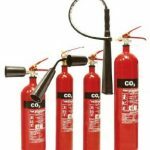 Carbon Dioxide is a gas, which reduces the temperature by its cooling effect and replace the oxygen to quickly smother flames and suffocate fire. 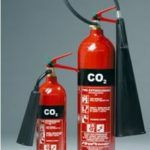 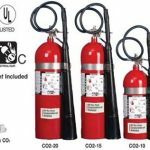 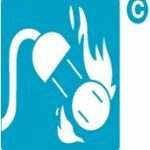 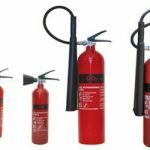 CO2 Fire Extinguishers are suitable for food storage, chemical plants, laboratories,Steel & Aluminum & Paint industries fire caused due by liquids such as oils, fats, solvents etc. 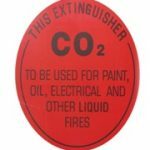 CO2 is the preferred extinguishing agent for use on electrically energized equipment due to its non conductivity according to NFPA, New Zealand, and other international standards. 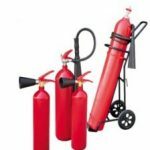 Refilling of CO2 Fire Extinguishers at Automatic Plant, Pressure Testing, Maintenance, Coating, Pick and Drop, Mobile Workshop, Service Contracts and Training.